The yearly return to college each fall is an exciting and significant time for students, but it isn’t entirely without risks. This year, as classes beckon you back to campus, consider what you can do to ensure your own safety as well as that of others. September is National Campus Safety Awareness Month! Here’s a quick list to help you promote safety throughout your time at school. It’s no secret that anyone who appears to be new in town or otherwise unsure of themselves makes an easy target. Don’t be one of those people! Wherever you go, whether on campus or around town, be sure to walk with confidence and a purpose. Be aware of your surroundings at all times, and don’t be afraid to excuse yourself from any situation that makes you feel uncomfortable. Go with your gut: when it comes to your personal safety, you are your own greatest ally. It’s an immutable law of nature: there’s safety in numbers. Traveling with friends is one of the best ways to keep yourself protected, particularly if you’re a young woman who may be at greater risk. This is of critical importance when attending social events or traveling in unlit areas. 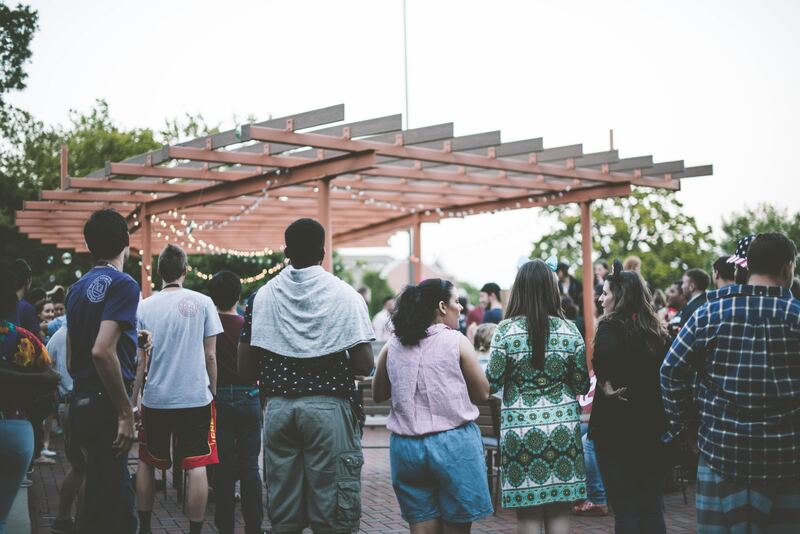 Whether on or off campus, attend events as part of a group and make a pact to look out for one another. Most importantly, never leave someone alone in a vulnerable or uncomfortable situation. If necessary, leave as a group and make other plans instead. Today our digital personas are just as real as our offline lives, and what happens on the Internet doesn’t necessarily stay there. So in the interest of safety, it’s best to keep the personal details to a minimum. First and foremost, be sure to disable location services so that no one can track your whereabouts as you post. Next, think twice before making any posts that include “sensitive” information. Over 80 percent of Internet-initiated crimes – crimes in which the criminal first identifies or tracks a target online – begin through social media, making your profiles excellent resources for any would-be criminals to find your location, daily routines and nearly anything else they might want to know. Whenever you venture out and about, make sure that someone knows where you’re going and when you expect to be back. It only takes a few moments to text friends or family members and inform them of your plans, and if something should ever go wrong, you’ll be glad that you did. If you don’t show up when and where you’re expected, having someone who can check in on you can make all the difference. Every campus has resources available to help keep you safe, but they aren’t of much use if you aren’t aware of them. Take some time to find out where your local campus safety or police station is located and be sure to save the phone number. Also familiarize yourself with any other useful services, such as psychological services and wellness centers. It’s also a good idea to locate any emergency phones and automatic external defibrillators (AEDs) on campus. A sudden cardiac arrest can happen to anyone at any time, and people who are quickly treated with an AED are five times more likely to survive. If you haven’t done so already, sign up to get campus text alerts sent directly to your phone. These alerts will help you stay abreast of any incidents on your campus and will provide valuable safety information if necessary. Additionally, consider downloading a personal safety app to turn your phone into a pocket-sized security guard. There are many options available, all with their own feature sets, but the general idea is the same: these apps provide a way to stay in touch with friends and family, alert them to your plans and location and even send emergency alerts if you’re in need of help. There are thousands of burglaries on college campuses each year, and many of them could be prevented with one simple step: lock your doors! Make sure your roommates also understand the importance of keeping your dorm locked up securely, and never give out a key to anyone else. If you live off campus, or in a sorority or fraternity house, consider installing a basic video surveillance system or doorbell camera. If an intruder sees they’re being watched it’s a powerful deterrent, and it’ll also allow you to remotely view any visitors – unwanted or otherwise – right from your phone or mobile device. Whether you’re out partying hard or simply looking for some Tylenol for a headache, never trust pills, liquids or other substances unless you know exactly what they are. It’s always better to pass on someone’s offer rather than risk consuming a spiked drink, a dangerous drug or some other foreign substance. Similarly, never put your drink down at a house party or in a bar. Many campuses and community centers offer free self-defense classes, and they’re well worth your time. Even if you hope never to need it, knowing how to respond quickly and effectively in the event of a physical threat is potentially life-saving. It doesn’t matter if you’re male or female – everyone could use a few tips from the experts, and if you witness potential acts of violence as a bystander this knowledge could help you prevent an assault from occurring. There’s something to be said for preparing for the worst, and that’s exactly what personal defense items accomplish. Whether it’s a small canister of pepper spray or a safety whistle, it’s worth it for peace of mind to carry one or more non-lethal defense items with you when you’re out and about. Whether you’re finishing your degree or shipping off to college for the first time, it’s important to make sure you’re properly prepared. With the simple tips above, you can feel confident in your ability to stay safe, protect yourself from whatever comes your way, and remember that GradGuard has your back! This content is intended for informational purposes only. For current product information and terms and conditions, please visit GradGuard.com. Actual coverage for Gradguard products will be based on the terms and conditions of the benefits. This post has been written by a guest contributor. If you're interested in contributing a post to GradGuard, send an email to socialmedia@gradguard.com with a few ideas and writing samples. 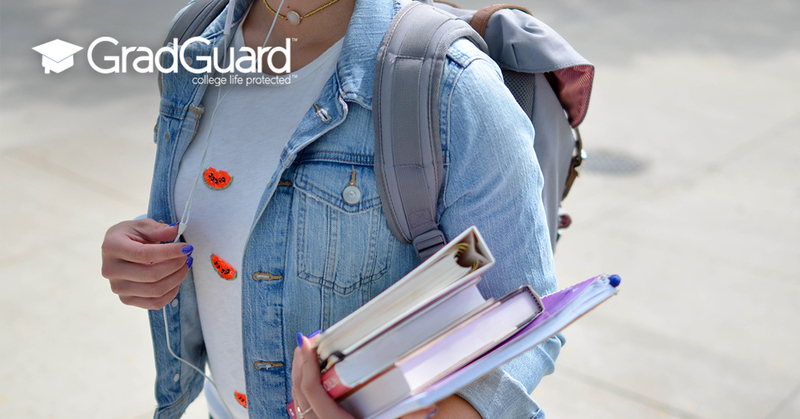 GradGuard™ is an authority on protecting college life. Our members trust us to help them overcome disruptions that may cost them money or help them replace their property when it is stolen or damaged. Consider becoming a member and being part of the 650,000 students who have received protection from GradGuard. GradGuard, a service of Next Generation Insurance Group LLC, is a nationally licensed insurance agency and program manager of innovative insurance and student benefit programs across the nation. Are you interested in contributing to our blog? If you have a knack for writing articles geared towards college students and their families, we want to know! Email socialmedia@gradguard.com with your post idea(s) to be considered. Copyright © 2009- - GradGuard. All rights reserved. GradGuard is a service of Next Generation Insurance Group, LLC.